The Browns played games with local students at the Cleveland Browns Foundation's 19th annual golf tournament presented by Key Private Bank and in association with University Hospitals and Professional Travel. Players visited students at the Cleveland elementary school and emphasized the importance of good attendance in school on the path to future success. Take a look at the photos from the visit made by Greg Joseph, Kendall Lamm, Orson Charles, Jaelen Strong and Chomps. 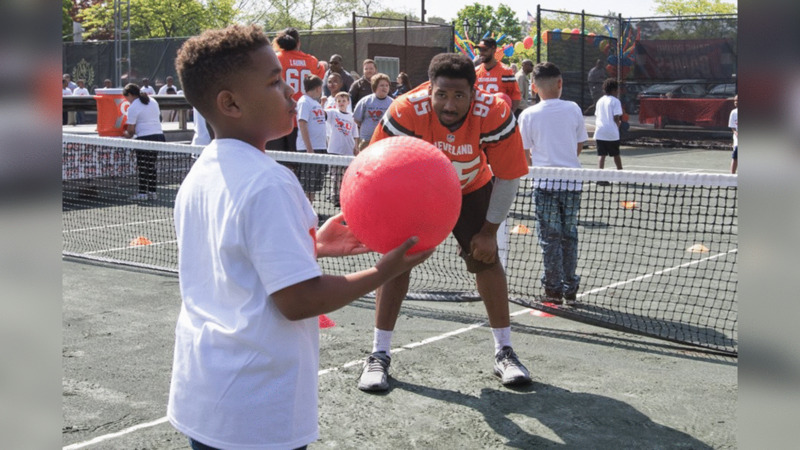 Browns players Joel Bitonio, Chris Hubbard and Daniel Ekuale joined Browns staff to host the 2019 Play 60 Football Festival, in association with University Hospitals. The Browns invited local students to have a day full of activities at the team facility, including football drills, alumni appearances and much more. The Cleveland Browns hosted the 2019 High School Showcase is in association with Xenith and the PURELL® brand March 9 as part of the team’s commitment to youth and high school football through Browns Give Back. Good attendance builds a strong foundation for in-school success. GOJO®, the makers of PURELL® Hand Sanitizer, support the "Get 2 School" attendance campaign by donating PURELL® hand sanitizer to Cleveland students in an effort to promote good hand-hygiene and reduce illness-related absences. Students also received a lesson on the importance of fighting germs, especially during the flu season.  Good attendance builds a strong foundation for in-school success. To celebrate their on-track attendance, a third grade class received a surprise Chomps visit, Browns goodie bags and an Arby's lunch. WR Dan Williams, OL Earl Watford, and Chomps surprised students with a reward for strong attendance. Chomps visited students at Mary B. Martin Elementary to promote good school attendance. Take a look at how Cleveland Browns Play Football was involved in the 2019 Pro Bowl. Chomps and WR Dan Williams stopped by H. Barbara Booker Elementary to help students pick out books! 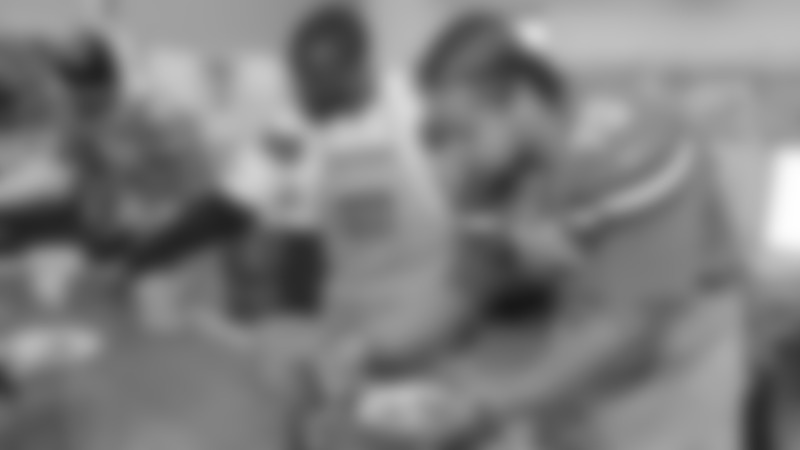 The Cleveland Browns give back to Northeast Ohio with a commitment to education and youth football while engaging the community through our signature First and Ten volunteer movement. Drew Stanton and his teammates invited 50 Cleveland-area kids to a Passing Along the Joy shopping event to ensure they would have gifts for the holiday season. Greg Joseph and Earl Watford helped award the Cleveland Metropolitan School District with the NFL Fuel Up to Play 60 Hometown Grant of $20,000, which will fund "grab-and-go" carts to allow students to eat breakfast on the go.